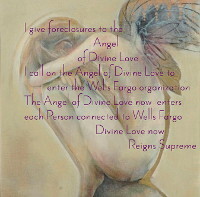 I have been in more than one foreclosure and filed more than one foreclosure complaint answer. All thanks to IRS putting me out of business by enforcing for a year I’d paid. Some of my foreclosure complaint answers were barely passable. I had no clue about affirmative defenses. Below is the Foreclosure Complaint Answer that Eric Ortiz, the trial lawyer I hired, filed. It responds to Wells Fargo’s Amended Complaint. I was really excited about it. But then Wells Fargo asked for it to be stricken because it was filed late. It was filed late. I remain shocked about that. And, the fact I paid $4,000 or more for work that wasn’t properly filed and therefore was a waste. Eric asked me not to publish this before the trial. So I wouldn’t come across as crazy, he said. I have no idea why he would think that publishing this is crazy. In reality, I don’t think he wanted his work on the internet. Or, he knew that I’d write about him filing it late, causing most of it to be stricken. There was a hearing on Wells Fargo’s Motion to Strike. At the hearing Wells Fargo’s lawyer went on and on about how I didn’t answer the original complaint in a timely manner. Eric did not point out to the Court that I was not served. I don’t think he came to the hearing prepared to fight for the Answer to the Amended Complaint. I think his main strategy may be to keep people in their homes by recommending they do Reverse Mortgages. He sure tried to pressure me into one, even though my house clearly would not qualify. I talked to appraisers I knew when I was a Realtor, and they said… not likely, no way. They are both with large appraisal firms in Santa Fe, so I trust their opinion. We lost at trial. Again Eric did not seem to try to convince Judge Ortiz of the merits of my side of the case. At the same time, Wells Fargo’s lawyer, Larry Montano, spent hours with that objective in mind while he talked. I’m very worried. I’m going to appeal. Defendant admits the allegations contained in Paragraph 1 of the Plaintiff’s Amended Complaint. Defendant admits the allegations contained in Paragraph 2 of the Plaintiff’s Amended Complaint. Defendant lacks sufficient knowledge or information to admit or deny the allegations contained in paragraph 3 of the Amended Complaint and therefore denies the same and demands strict proof thereof. Plaintiff admits the allegations contained in Paragraph 5 of the Plaintiff’s Amended Complaint. Defendant lacks sufficient knowledge or information to admit or deny the allegations contained in paragraph 6 of the Amended Complaint and therefore denies the same and demands strict proof thereof. Defendant lacks sufficient knowledge or information to admit or deny the allegations contained in paragraph 7 of the Amended Complaint and therefore denies the same and demands strict proof thereof. Defendant lacks sufficient knowledge or information to admit or deny the allegations contained in paragraph 8 of the Amended Complaint and therefore denies the same and demands strict proof thereof. Defendant lacks sufficient knowledge or information to admit or deny the allegations contained in paragraph 9 of the Amended Complaint and therefore denies the same and demands strict proof thereof. Plaintiff admits the allegations contained in Paragraph 10 of the Plaintiff’s Amended Complaint. Plaintiff admits the allegations contained in Paragraph 11 of the Plaintiff’s Amended Complaint. Defendant lacks sufficient knowledge or information to admit or deny the allegations contained in paragraph 12 of the Amended Complaint and therefore denies the same and demands strict proof thereof. Defendant lacks sufficient knowledge or information to admit or deny the allegations contained in paragraph 13 of the Amended Complaint and therefore denies the same and demands strict proof thereof. As to the allegations contained in Paragraph 14 of the Plaintiff’s Complaint, Defendant admit in part, copies of the Mortgage. is attached to the Plaintiff’s Complaint. As to the remainder of allegations contained in Paragraph 14 of the Plaintiff’s Complaint, Defendants lack sufficient knowledge or information to admit or deny said allegations and therefore do deny the same and demand strict proof thereof. Defendant lacks sufficient knowledge or information to admit or deny the allegations contained in paragraph 15 of the Amended Complaint and therefore denies the same and demands strict proof thereof. Defendant lacks sufficient knowledge or information to admit or deny the allegations contained in paragraph 16 of the Amended Complaint and therefore denies the same and demands strict proof thereof. Defendant lacks sufficient knowledge or information to admit or deny the allegations contained in paragraph 17 of the Amended Complaint and therefore denies the same and demands strict proof thereof. As to the allegations contained in Paragraph 18 of the Plaintiff’s Complaint, Defendant admit in part, a copy of an assignment from Bank of United of Texas, FSB to GE Capital Mortgage Services, Inc. is attached to the Plaintiff’s Complaint. As to the remainder of allegations contained in Paragraph 18 of the Plaintiff’s Complaint, Defendants lack sufficient knowledge or information to admit or deny said allegations and therefore do deny the same and demand strict proof thereof. As to the allegations contained in Paragraph 19 of the Plaintiff’s Complaint, Defendant admits in part, that a Modification Agreement is attached to the Plaintiff’s Complaint. As to the remainder of allegations contained in Paragraph 19 of the Plaintiff’s Complaint, Defendants lack sufficient knowledge or information to admit or deny said allegations and therefore do deny the same and demand strict proof thereof. As to the allegations contained in Paragraph 20 of the Plaintiff’s Complaint, Defendant admit in part, a copy of an assignment from GE Capital Mortgage Services, Inc. to Wells Fargo is attached to the Plaintiff’s Complaint. As to the remainder of allegations contained in Paragraph 20 of the Plaintiff’s Complaint, Defendants lack sufficient knowledge or information to admit or deny said allegations and therefore do deny the same and demand strict proof thereof. Defendant lacks sufficient knowledge or information to admit or deny the allegations contained in paragraph 21 of the Amended Complaint and therefore denies the same and demands strict proof thereof. As to the allegations contained in Paragraph 22 of the Plaintiff’s Complaint, said allegations are legal conclusions to which no answer is necessary. To the extent that an answer is required to the allegations contained in Paragraph 22 of the Plaintiff’s Complaint, Defendant lacks sufficient knowledge or information to admit or denies said allegations and therefore do deny the same and demand strict proof thereof. Paragraph 23 of the Amended Complaint is a restatement to which no responses is required. Defendant admits the allegations contained in paragraph 24 of the Amended Complaint. Defendant admits the allegations contained in paragraph 25 of the Amended Complaint. Defendant admits the allegations contained in paragraph 26 of the Amended Complaint. Defendant admits the allegations contained in paragraph 28 of the Plaintiff’s Amended Complaint. Defendant admits the allegations contained in paragraph 28 in part as she participated in a trial payment plan in 2011, as to the remaining allegations Defendant lacks sufficient information to admit or deny said allegations and demands strict proof thereof. Defendant lacks sufficient information to admit or deny said allegation contained in paragraph 29 of the Amended Complaint and demands strict proof thereof. Defendant lacks sufficient information to admit or deny said allegation contained in paragraph 30 of the Amended Complaint and demands strict proof thereof. Defendant lacks sufficient knowledge or information to admit or deny the allegations contained in paragraph 31 of the Amended Complaint and therefore denies the same and demands strict proof thereof. Defendant lacks sufficient knowledge or information to admit or deny the allegations contained in paragraph 32 of the Amended Complaint and therefore denies the same and demands strict proof thereof. Defendant lacks sufficient knowledge or information to admit or deny the allegations contained in paragraph 33 of the Amended Complaint and therefore denies the same and demands strict proof thereof. Defendant lacks sufficient knowledge or information to admit or deny the allegations contained in paragraph 34 of the Amended Complaint and therefore denies the same and demands strict proof thereof. Defendant lacks sufficient knowledge or information to admit or deny the allegations contained in paragraph 35 of the Amended Complaint and therefore denies the same and demands strict proof thereof. Defendant lacks sufficient knowledge or information to admit or deny the allegations contained in paragraph 36 of the Amended Complaint and therefore denies the same and demands strict proof thereof. Defendant lacks sufficient knowledge or information to admit or deny the allegations contained in paragraph 37 of the Amended Complaint and therefore denies the same and demands strict proof thereof. Defendant lacks sufficient knowledge or information to admit or deny the allegations contained in paragraph 38 of the Amended Complaint and therefore denies the same and demands strict proof thereof. Defendant lacks sufficient knowledge or information to admit or deny the allegations contained in paragraph 39 of the Amended Complaint and therefore denies the same and demands strict proof thereof. Defendant lacks sufficient knowledge or information to admit or deny the allegations contained in paragraph 40 of the Amended Complaint and therefore denies the same and demands strict proof thereof. Defendant lacks sufficient knowledge or information to admit or deny the allegations contained in paragraph 41 of the Amended Complaint and therefore denies the same and demands strict proof thereof. Defendant lacks sufficient knowledge or information to admit or deny the allegations contained in paragraph 42 of the Amended Complaint and therefore denies the same and demands strict proof thereof. Defendant lacks sufficient knowledge or information to admit or deny the allegations contained in paragraph 43 of the Amended Complaint and therefore denies the same and demands strict proof thereof. Defendant lacks sufficient knowledge or information to admit or deny the allegations contained in paragraph 44 of the Amended Complaint and therefore denies the same and demands strict proof thereof. Defendant lacks sufficient knowledge or information to admit or deny the allegations contained in paragraph 45 of the Amended Complaint and therefore denies the same and demands strict proof thereof. Defendant lacks sufficient knowledge or information to admit or deny the allegations contained in paragraph 46 of the Amended Complaint and therefore denies the same and demands strict proof thereof. Paragraph 47 of the Amended Complaint is a restatement to which no responses is required. Defendant denies the allegations contained in paragraph 48 of the Amended Complaint. Defendant denies the allegations contained in paragraph 49 of the Amended Complaint. Defendant lacks sufficient knowledge or information to admit or deny the allegations contained in paragraph 50 of the Amended Complaint and therefore denies the same and demands strict proof thereof. Paragraph 51 of the Amended Complaint is a restatement to which no responses is required. Defendant admits the allegations contained in paragraph 52 of the Amended Complaint. Defendant lacks sufficient knowledge or information to admit or deny the allegations contained in paragraph 53 of the Amended Complaint and therefore denies the same and demands strict proof thereof. Defendant lacks sufficient knowledge or information to admit or deny the allegations contained in paragraph 54 of the Amended Complaint and therefore denies the same and demands strict proof thereof. Defendant lacks sufficient knowledge or information to admit or deny the allegations contained in paragraph 55 of the Amended Complaint and therefore denies the same and demands strict proof thereof. Defendant lacks sufficient knowledge or information to admit or deny the allegations contained in paragraph 56 of the Amended Complaint and therefore denies the same and demands strict proof thereof. Plaintiff lacks standing to bring this litigation as it has failed to prove it is in physical possession of the Note and has also failed to prove that it is the holder in due course. The Complaint and each claim for relief set forth in the Complaint fail to state a claim upon which relief can be granted against Defendants. The claims and causes of action contained in the Complaint are barred by the doctrine of waiver. The claims and causes of action contained in the Complaint are barred by the doctrine of laches. The claims and causes of action contained in the Complaint are barred by the doctrine of estoppel. Plaintiff is estopped by its agents’ words and conduct from instituting and maintaining this cause of action against the Defendants. Plaintiff failed to mitigate the damages requested in the Complaint. Plaintiff’s damages, if any, were caused by Plaintiff’s own actions or failures to act. The affirmative defenses set forth herein are preliminary, without the benefit of all of the facts underlying or pertaining to Plaintiff’s claims. Therefore, Defendants reserve their right to amend to add additional affirmative defenses as this case proceeds. 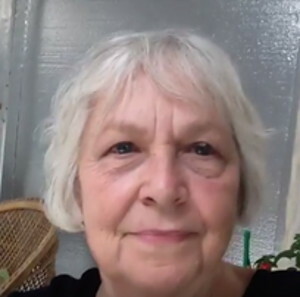 Karen M. Kline (hereinafter “Borrower”) is a resident of Santa Fe County, State of New Mexico. Wells Fargo National Association (hereinafter “Wells”) regularly does business in the state of New Mexico. All transactions alleged herein concern property located in Santa Fe County, State of New Mexico. Jurisdiction and venue are proper in the First Judicial District for the State of New Mexico. Borrower acquired the subject property and obtained a mortgage note against the same. 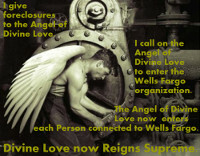 Upon information and belief, in or around 2009, Wells was the servicer of the subject loan. On or about September 22, 2009 Wells provided the Borrower with a Temporary Trial Payment Period (TPP) advising the Borrower that she was eligible for a trial modification plan (hereinafter “the TPP”). A copy of the correspondence is attached hereto as Exhibit A. Upon information and belief Wells represented that upon successful completion of the TPP Wells would offer a permanent loan modification which would provide for a 30 or 40 year amortization and payments in the same dollar amount as the TPP payments. Wells would lower the interest rate in an amount of achieve that result. On or about September 22, 2009 Defendant also received correspondence advising that she had been qualified for a Special Forbearance Agreement, see Exhibit B. Defendant did not pursue the forbearance plan and instead proceeded to make payments on the TPP as she was unable to afford the $432.28 payment. The TPP provided the Borrower with a TPP schedule in which the Borrower would make three (3) monthly payments of $279.56 with the expectation of the initial check which contained a $20.00 for October, November, and December of 2009. A copy of Defendant’s bank statements indicating when the amounts were withdrawn are attached hereto as Exhibit C.
The TPP states that within a week of scheduling the initial payment on the TPP, “a package of information that clearly spells out the full terms and the documentation,” would be sent. 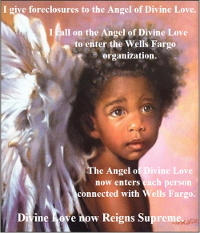 Upon information and belief Wells Fargo failed to provide Defendant with the necessary information. Upon information and belief due to the denial of the forbearance agreement the review for the loan modification was also closed. Upon information and belief, all payments made by the Borrower were accepted by Wells, as no payments were rejected and/or returned to the Borrower. Wells failed to provide the Borrower with a permanent modification as promised in the TPP. Upon information and belief, to date, none of the above payments have been rejected and/or returned to the Borrower. Wells used exaggeration, innuendo or ambiguity as to the material fact that and/or failed to state the material fact that the Homeowners were participating in and were in compliance with the Permanent Loan Modification Agreement. The Borrower has suffered actual damages, including loss of credit, damage to credit rating, emotional distress, loss of equity and attorney’s fees and costs as a result of the continued foreclosure litigation by Wells and its failure to provide a permanent modification despite the Borrower’s successful completion of the terms of the TPP. The Borrower re-alleges and re-incorporates the preceding paragraphs of her claims as if fully alleged herein. The TPP was offered by Wells on or about September of 2009 and accepted by the Borrower. The TPP is a legally binding contract that Wells entered into with the Borrower. Wells breached both TPP by failing to provide the Borrower with a permanent modification despite the Borrower’s successful completion of the TPP. Wells is liable to the Borrower for all damages incurred by its breach of the TPP. The Borrower is entitled to actual, emotional, and compensatory damages from Wells in an amount to be proven at trial, as a direct and proximate result of Wells’ breaches of contract. Implicit in TPP is a duty for Wells to deal fairly and in good faith with the Borrower. Wells had a duty of good faith and fair dealing concerning the TPP with the Borrower. 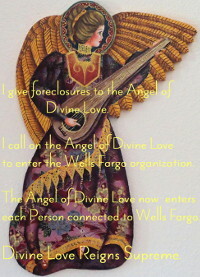 Wells breached the covenant of good faith and fair dealing it owed to the Borrower by failing to accurately credit Borrower’s account to notate payments made by Borrower in accordance with the TPP, by failing to accept payments made by Borrower in accordance with TPP, by failing to provide the Borrower with a permanent modification, and by continuing to pursue foreclosure proceedings against the Borrower. Wells’ breaches of the covenant of good faith and fair dealing, as described above, were in bad faith when it wrongfully and intentionally breached the covenant of good faith and fair dealing regarding the TPP because Wells was consciously aware that Borrower completed the TPP and was still making payments in accordance with the TPP after the initial 3 month trial period. Despite having knowledge and/or awareness that the Borrower was making payments pursuant to the TPP, Wells proceeded with deliberate disregard for potential harm that would result to Borrower based on its failure to permanently modify the Borrower’s loan, failure to accurately credit Borrower’s account to notate payments made by the Borrower in accordance with the TPP, its failure to accept payments made by Borrower in accordance with the TPP, and its continued litigation of the instant foreclosure action against the Borrower. Based on Wells’ breaches of the promise of good faith and fair dealing regarding the TPP, the Borrower is entitled to punitive damages, which Wells is liable for, in an amount to be determined at trial. The Borrower is entitled to actual, emotional, and compensatory damages Wells, in an amount to be proven at trial, as a direct and proximate result of Wells breaches of the covenant of good faith and fair dealing. The Borrower hereby re-alleges and re-incorporates all proceeding paragraphs as if the same were fully set forth herein. Wells participates in trade or commerce related to the servicing of mortgage loans directly or indirectly affecting the people of this New Mexico. Wells is a provider of services related to the servicing of mortgage loans in the regular course of its trade or commerce. In the TPP, Wells used exaggeration, innuendo or ambiguity regarding the Borrower’s participation in and Wells’ obligations under the TPP. The Borrower’s participation in and Wells’ obligations under the TPP is a fact material to the adjudication of Wells’ complaint for foreclosure against the Borrower. Wells’ use of exaggeration, innuendo or ambiguity regarding the Borrower’s participation in and Wells’ obligations under the TPP is in violation of NMSA 1978, § 57-12-2(D) (14). The Borrower does not have knowledge, ability, experience or special capacity regarding participating in trial payment plans and permanent loan modifications nor in dealing with foreclosure complaints. Wells’ use of exaggeration, innuendo or regarding the Borrower’s participation in and Wells’ obligations under the TPP took advantage of the Borrower’s lack of knowledge, ability, experience or special capacity in participating a trial payment plans and permanent loan modifications and dealing with foreclosure complaints to a grossly unfair degree. Wells, by taking advantage of the Borrower’s lack of knowledge, ability, experience or capacity to a grossly unfair degree, violated NMSA 1978, § 57-12-2(E)(1). As a result of statements made by Wells to the Borrower regarding the TPP and Wells’ obligation to provide a permanent modification, the Borrower relied upon the above stated representations and was further influenced by the statements made by Wells and, to the Borrower’s detriment, she made payments to Wells in accordance with the TPP and still had foreclosure actions proceeded against her and has yet to receive a permanent modification rom Wells. Pursuant to NMSA 1978, § 57-12-10(A), the Borrower is entitled to an injunction against Wells from charging any additional late fees and interest under the principles of equity and on terms that the Court considers reasonable based on the unfair or deceptive trade practices of Wells. Pursuant to NMSA 1978, § 57-12-10(B), Wells is liable to the Borrower for actual damages and statutory damages in an amount to be determined at trial. Pursuant to NMSA 1978, § 57-12-10(B), Wells is liable to the Borrower for treble damages. Pursuant to NMSA 1978, § 57-12-10(C), Wells is liable to the Borrower for reasonable costs and attorney’s fees in an amount to be determined at trial. Pursuant to NMSA 1978, § 57-12-10(D), in addition to damages listed above, Wells is liable to the Borrower for all other remedies otherwise available against the same conduct under the common law or other statutes of this state, including punitive damages in an amount to be determined at trial.